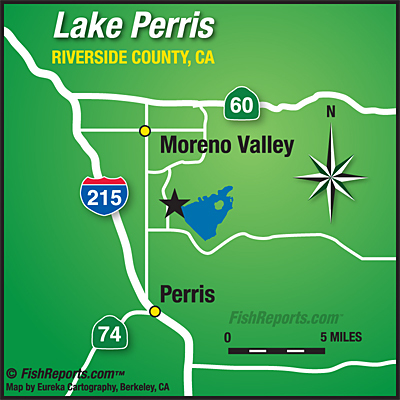 Lake Perris was hit with some more wet and windy weather this week, so fishing has been slow. The bass and carp are still biting. We have had a couple reports of larger bass, carp are still averaging 15 lbs. We are still waiting for our trout plant.